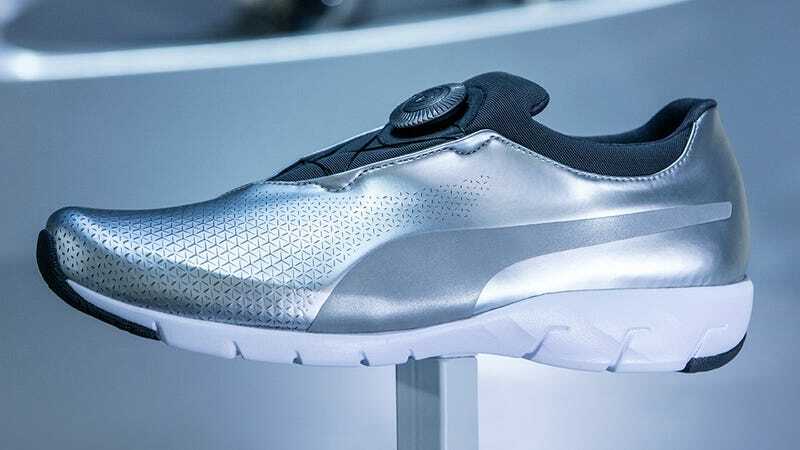 Like the concept car, the BMW X-CAT DISC uses a single seamless piece of silvery fabric for its outer shell. Unfortunately, the results make you think of a costume for a low-budget science-fiction film, instead of cutting edge design. 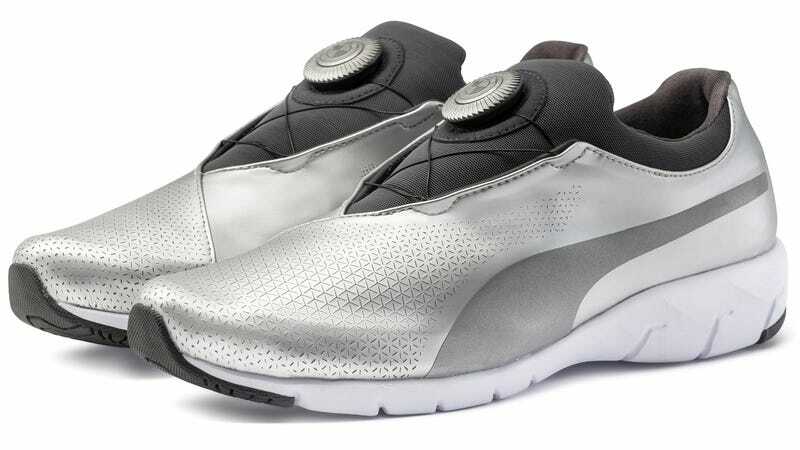 But the sneakers do incorporate Puma’s DISC technology, which swaps laces for hidden cables surrounding the wearer’s foot that can be tightened and loosened using a dial on top.